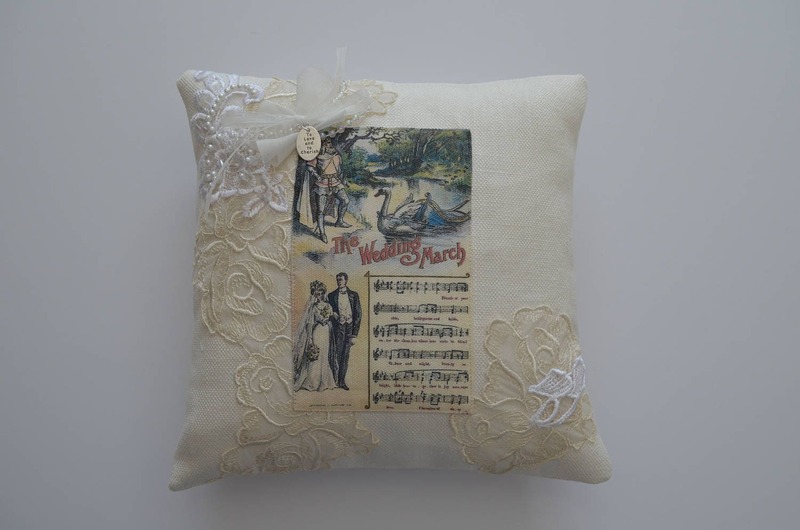 Wedding Ring Bearer Pillow "The Wedding March"
This lovely ring bearer pillow features a postcard image titled "The Wedding March". The original postcard is postmarked 1909 and the message written on the back to "Miss Mary" says "May your husband be golden and true, proud of himself but prouder of you. Your sister-in-law Justine" . We just love to find old postcards that still have the sentiment legible on the back! 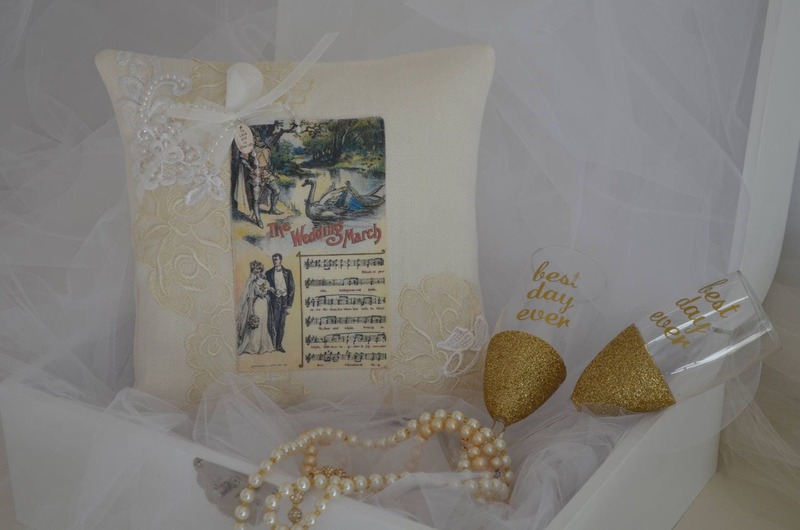 The 10" pillow is made from Belgian linen and is embellished with vintage lace trim and pieces of appliques from old wedding dresses that we come across and repurpose. The vintage wedding dresses are beyond repair so we try to give them new life and let them spread their magic on a new wedding day! The pillow is filled with a soft down like poly cluster fill and is hand sewn closed. The pillow will ship within 2-3 days. 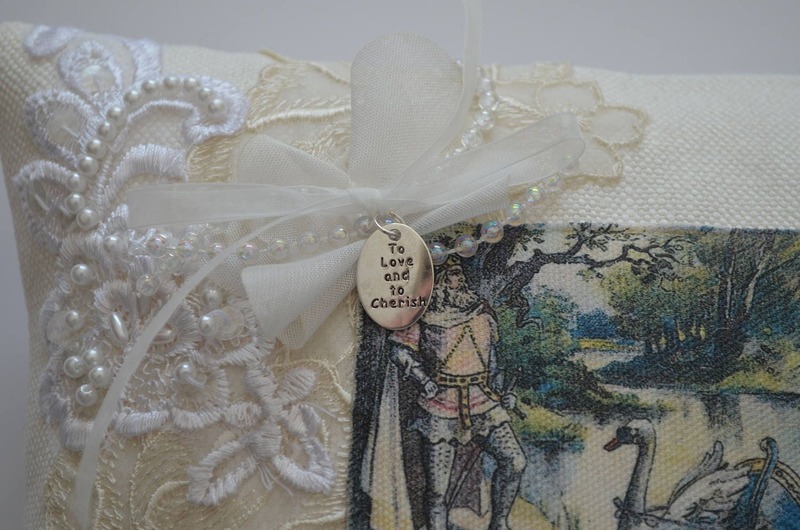 * We can also customize a ring bearer pillow for you with your own treasured family heirlooms at no additional cost. Please contact us for further details.